Our range of plastic injection moulded Ceiling Buttons comes in a circle or oval and with a number or adhesive options to suit your requirement. 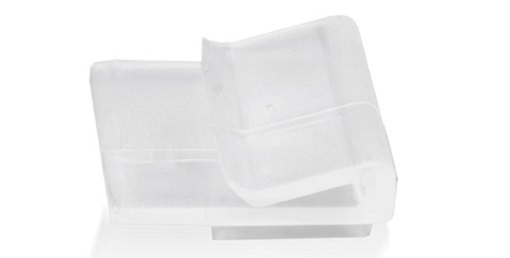 We offer these in white or clear as standard stock items. 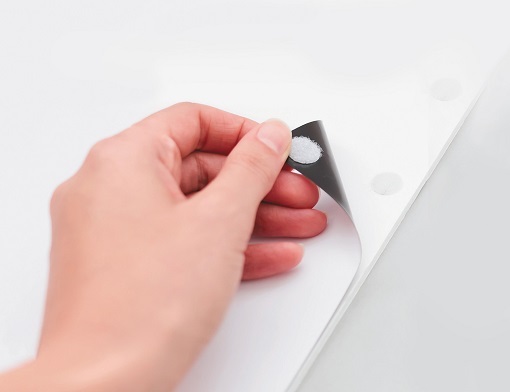 White Circular and White Oval both come with a permanent foam adhesive whereas the Clear Circular Ceiling buttons give an option or Pure Acrylic Adhesive or Polyester Adhesive. All have a high initial tack and are perfect for hanging your Posters, Banners or Signs. For a Non- Adhesive option we offer the Ceiling Clip where you slide the clips onto the suspended ceiling grid to hang point of sale promotional material from. These are ideal when you want to move your signs around instead of a permanent position. 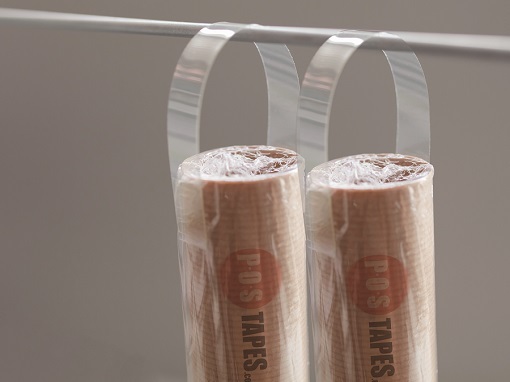 Our Ceiling Buttons and Clips are available at POS Tapes online in bags of 100 or 1000 and are ideal for use with our Metal Rods. For more information please contact or sales team. 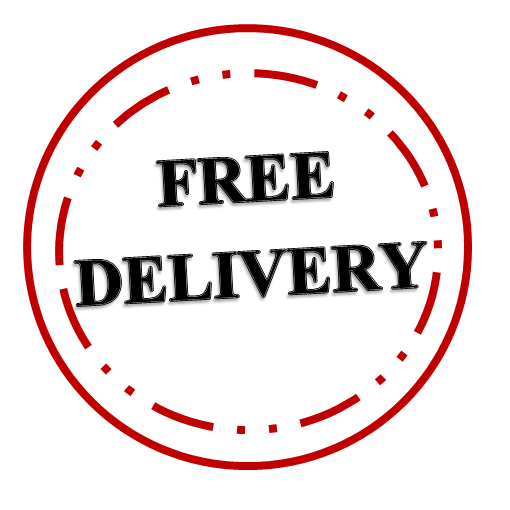 All orders placed via POS Tapes and based in the UK receive FREE DELIVERY!! 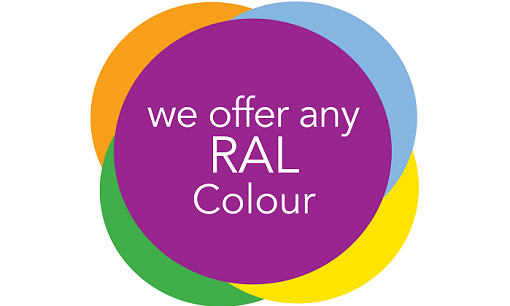 For orders outside the UK or trade orders please contact our dedicated sales team. 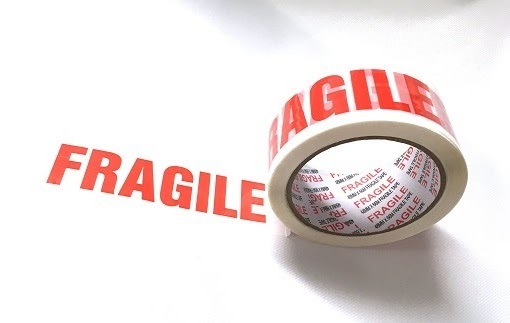 POS Tapes offers a complete range of Clear Double Sided Polyester Tapes which can be used for a range of different and demanding applications. 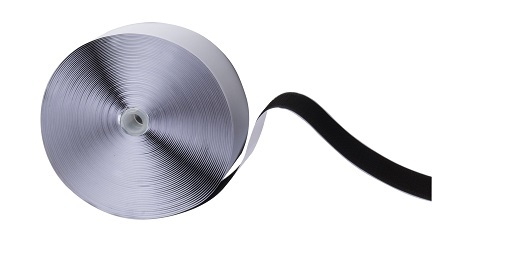 This is our strongest Double Sided Polyester Tape. Our 6002 has a very thick special solvent acrylic adhesive system which gives it a very high initial tack and will bond paper, card, board, metal, ceramic, plastics, glass and wood. Available as 50 metre rolls in 6 different widths. This is our best-selling Double Sided Polyester Tape. Our 6001 has a high tack special solvent acrylic adhesive system which will bond most substrates including paper, card, board, metal, ceramic, plastics, glass and wood. Our 6001 is ideal for indoor and outdoor applications making it perfect for the sign and display industries. Available in 4 widths in 50 metre length rolls. Our 6440 is a unique Double Sided Polyester Tape, it is optically clear in colour and is coated with a high tack permanent adhesive on the open side and a peel-able adhesive on the closed side. This makes our Perm/Peel Double Sided Polyester Tape perfect for all temporary POS displays such as posters in store and window displays. Available as 50 metre rolls in 5 different widths. 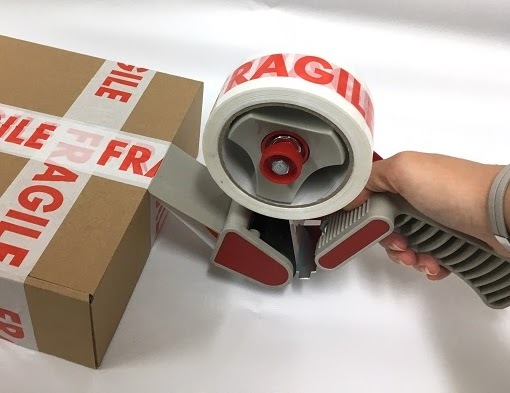 This premium grade Double Sided Transparent Polyester Tape has a red filmic release liner and is coated with a UV resistant acrylic adhesive, suitable for most demanding applications. It will bond to metal, ceramic, plastic, glass, wood, paper, board and card. Suitable for both indoor and outdoor use. This Double Sided Tape is thicker than most polyester tape so it's great for uneven surfaces. Our 50 metre rolls of Tesa Tape come in a choice of 7 widths. For any further product information, please contact our POS sales team.